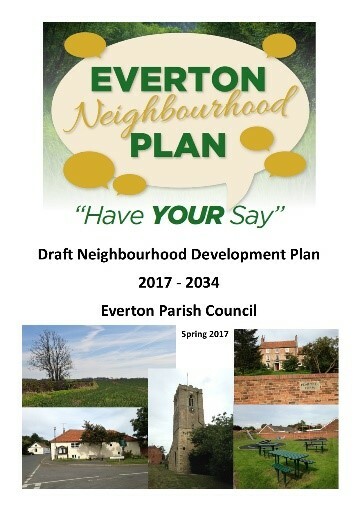 Everton NDP, Bassetlaw, Nottinghamshire – has been published for Regulation 14 consultation until 5th June – to see a copy of the plan visit the Parish Council website: http://www.evertonvillage.org.uk . The Everton NDP includes proposed sites for new housing and a range of planning policies to protect landscape, wildlife and built heritage and to support investment in new community and recreational facilities in the village. Two more of Kirkwells’ Neighbourhood Plan clients recorded successful “yes” votes at referendum. This brings to nine the number of areas we have helped to get over the final hurdle. Thursday’s “yes” votes were both in Herefordshire – with Brimfield and Little Hereford and Wellington parishes voting. On a turnout of 45.6%, over 91% of voters in Brimfield and Little Hereford voted “yes” for their neighbourhood plan. In Wellington, turnout was 32.7% and over 87% voted “yes”. Both plans will now be made part of the development plan in Herefordshire. The people of Whitnash have voted “yes” in the latest neighbourhood plan referendum. The YES vote was 926 (92.6%) the NO vote was 68( 6.8%). 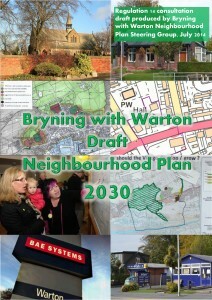 The Whitnash neighbourhood plan was prepared by a Steering Group of town councillors and local volunteers. Kirkwells provided support with policy and plan writing, assembling the evidence base, advice on community engagement and the neighbourhood plan examination. If you would like to discuss how Kirkwellscan help you to get your neighbourhood plan to referendum call Michael or Louise on 01282 872570 or email. On Thursday July 23rd voters chose to say “yes” to the Branston Neighbourhood Plan becoming part of East Staffordshire’s Development Plan. 80.5% of those voting said “Yes” (599 people) and 19.5% (145 people) voted “No”. 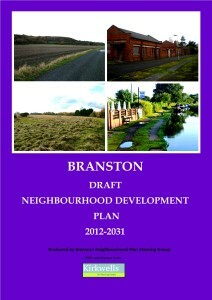 Kirkwells supported Branston Parish Council in preparing the Neighbourhood Plan. Kirkwells have helped over 50 areas with neighbourhood planning. Covering everything from designation through to referendum. If you would like to discuss how we can help you with your neighbourhood plan call Michael on 01282 872570. Chaddesley Corbett’s Neighbourhood Plan has been approved at referendum. In just over 12 months, Kirkwells have helped the Parish Council get their Neighbourhood Plan to this all important stage. There were 328 votes cast in total, of which 265 (81%) were in favour of the plan, to 62 (19%) votes against the plan. One ballot paper was rejected and the turnout was 27.8%. If you need expert help to get your neighbourhood plan to referendum call Kirkwells now on 01282 872570 or email Louise. To find out more about our neighbourhood planning services click here, or request a brochure. The Chaddesley Corbett Neighbourhood Plan will go to Referendum on Thursday 11 September 2014. If more people vote ‘yes’ than ‘no’ in this Referendum, then Wyre Forest District Council will use the Neighbourhood Plan to help it decide planning applications in Chaddesley Corbett. Kirkwells supported Chaddesley Corbett in the preparation of the Neighbourhood Plan by helping to draft the Plan, prepare the Consultation Statement and Basic Condition Statement. All this in 12 months! 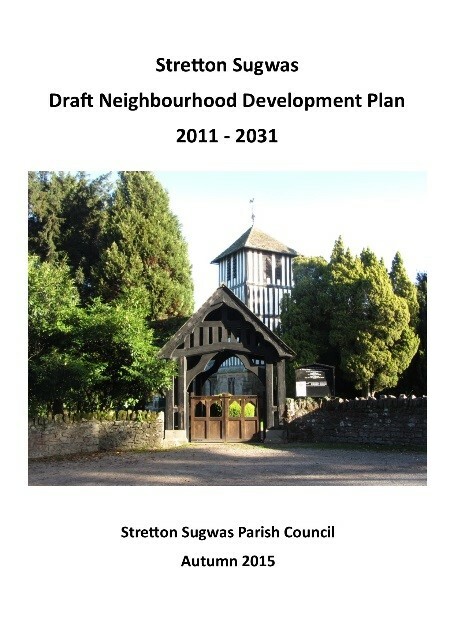 Although about a thousand areas have started to prepare Neighbourhood Plans only around 20 have reached Referendum stage. There are many reasons for these delays. The most common reasons are lack of time, the complex issues to be tackled in the plan and the difficult process to be followed. But Kirkwells with the experience of working on over 30 neighbourhood plans can help you to get things moving. So if you want to get your Neighbourhood Plan moving towards to referendum stage and start taking charge of the future planning of your area why not call Louise or Michael on 01282 872570 or email Michael. The Branston Neighbourhood Plan has been published for six weeks of public consultation. Branston, in East Staffordshire, is faced with massive development pressure over the next twenty years. Proposals for up to 4,000 new homes are in the offing. The Branston Neighbourhood Plan does not seek to stop this development. Instead it seeks to ensure the new development is well integrated with the existing community; that some of the benefits of this development go to the existing community; and, that any impacts are minimised. If your community is facing severe development pressure, and you are considering using neighbourhood planning as a way of making the best of this, but think you need expert, technical support, call Michael or Louise on 01282 872570 or email. To find out more about the Branston plan click here. Kirkwells are country’s leading independent town planning consultants supporting communities in the preparation of neighbourhood plans.